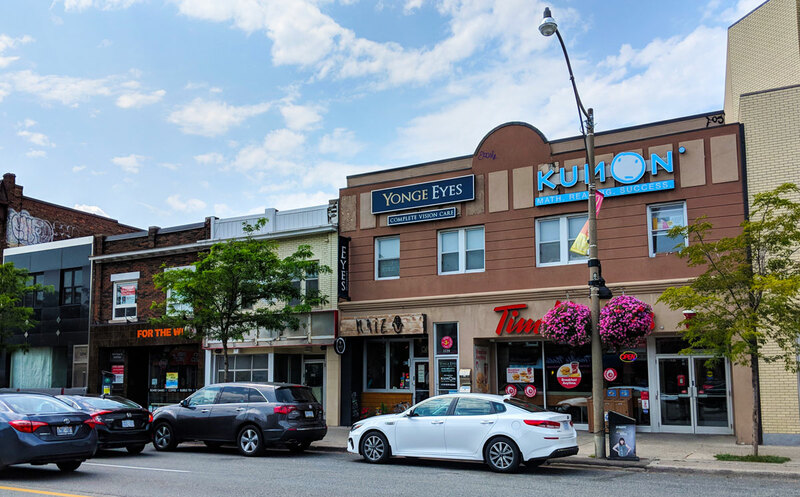 Maiz is a new-ish Latin joint on Yonge street with a variety of tacos, burritos, and arepas on their menu. I tried an arepa and quite enjoyed it, but the menu is clearly hit-and-miss. I went with a group of four; two of us got arepas and enjoyed them mightily. The other two got a burrito and a veggie bowl and found them to be mediocre at best. So who knows! 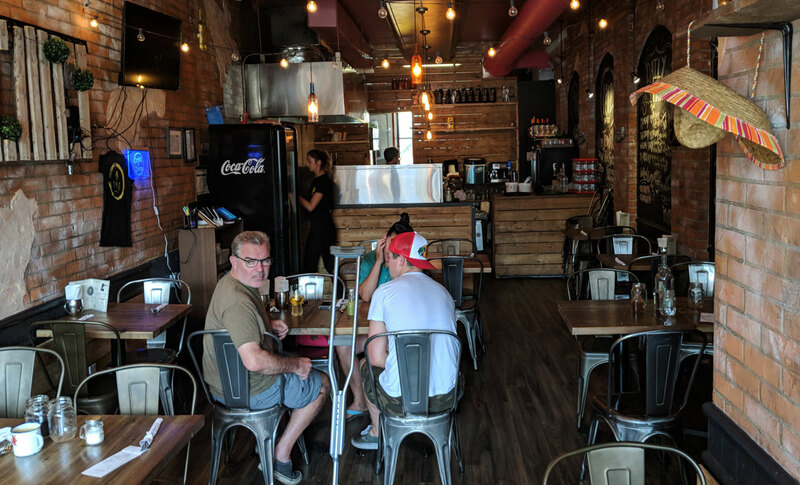 I can’t remember the last time I went to a restaurant where the group was so sharply divided, but the only thing I tried was the arepa, and it was quite tasty. 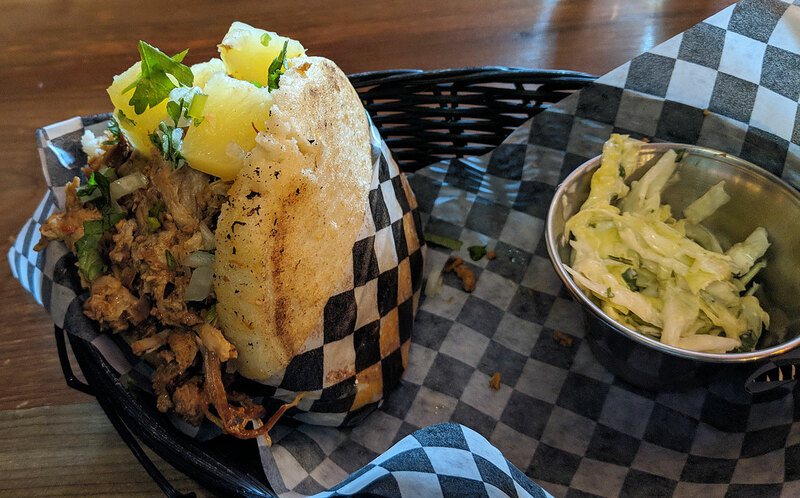 Specifically, I tried the adobo arepa, which features a whole bunch of braised pork crammed into a toasty arepa (which is a thick corn flatbread traditionally served in Columbia and Venezuela) and topped with pineapple. The pork was delicious; it had a zippy flavour from the adobo marinade and a very mild kick. The texture was great –it was shredded, but not too finely, with a nice mix of lean and fatty pieces. And it had obviously been crisped up on a griddle, with crispy pieces throughout. The pineapple chunks were a bit too large, and the arepa itself wasn’t as fresh as I would have liked, but all in all it was a tasty dish.